Selected to show 'Deformed-Transformed' works at Tate Modern, Exchange festival (Movement). Artwork chosen to promote PINT OF SCIENCE international science festival. Solo show, World Dementia Council 2018 at the Wellcome Trust, London. Solo show, Dementia Discovery Forum 2018, Lancaster House, London. 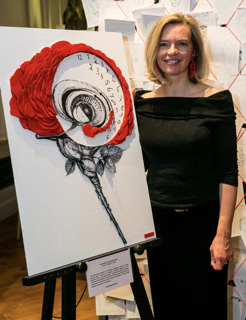 Awarded grant by Brain journal for stroke art project. Three works exhibited at Ashmolean Museum, Oxford. Artwork seclected for American Academy of Neurology Neuro Film Festival 2018. See video here. Parkinson’s exhibition, Bodleian Library, Oxford University. Solo show and talks at Radley College (Sewell Gallery), Oxfordshire. Group exhibition with the Wellcome Hub at 'Dimensions of Dementia' event, London. See video here. Solo show, talk and workshop at Eurobest, Creativity festival, Bloomsbury, London. Selected to exhibit ALL IN THE MIND WORKS at FENS (Federation of Neuroscience Societies). Spoke and exhibited at 'Beauty and Brain' symposium, Pecs University, Hungary. Commission for Spreading Grace development centre, United Arab Emirates. Commission of magnolia in Great Gardens of Cornwall to go on permanent exhibition at the Nare Hotel, Cornwall. One-man show in the Taschen Library, Purple Dragon, Chelsea, London. 'Danza de Fuego', on permanent exhibition at La Anguila estate, Spain. Portrait exhibited at Saatchi Gallery event. Live performance featuring the Kiss Me Deep series at the Andaz (Hyatt) hotel, Liverpool Street, London. Selected alongside Tracey Emin and Maggi Hambling for Amnesty's "400 Women' show at Shoreditch Town Hall, which pays homage to the women brutally raped and murdered in Ciudad Juarez, Mexico. Selected works exhibited in the Summer Show at Morton Metropolis gallery, Berners St, London W1. Ongoing exhibition of works at the Instituto de Empresa (IE) business school, Madrid. 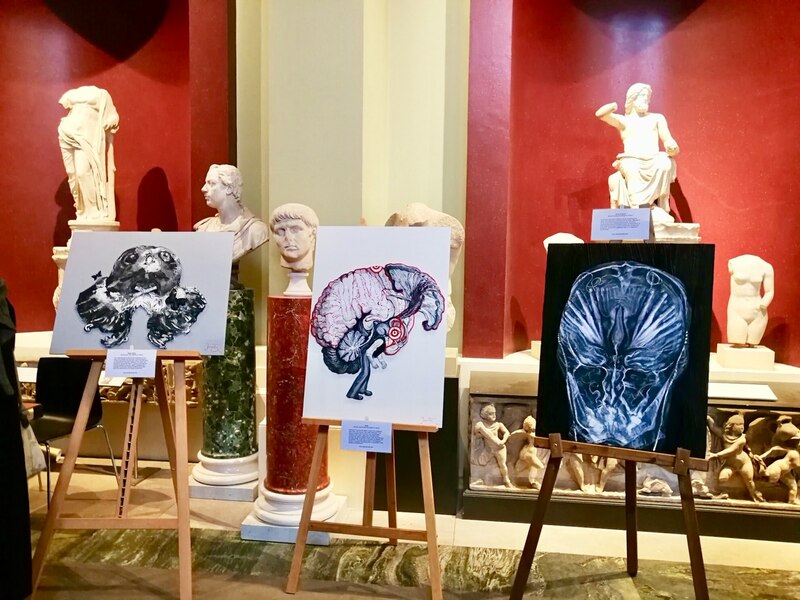 Joint exhibition with John Pickering (sculptor) at SW1 Gallery, London with the collaboration of the National Rheumatoid Arthritis Society (NRAS). Click here to view the gallery and here to download press release. 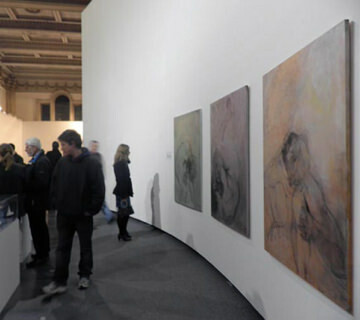 Jovenes Valores exhibition, Galeria Van Dyck, Gijon, Spain. Landscape exhibition at Galería Standarte, Madrid, Spain. BODY AND SOUL solo show at 61A Agisilaou Street, Keramikos, Athens, Greece with sponsorship from and roundtable talks organized by the British Council, Athens. Solo exhibition at Galería Standarte, Madrid, Spain. Solo exhibition at Galería Tribeca, Madrid, Spain. Group exhibition at the Centre d´Art i Natura de Farrera, Catalonia, Spain. Solo exhibition in London Picture Centre, Fulham, London, UK.